Avalon by Nature – an Aussie online shop for crystals, jewellery & aromas for the soul! 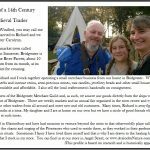 An Aussie online shop for tarot, jewellery & aromas for the soul! Avalon by Nature is your online shop for spiritual supplies to support your journey of self-discovery and well-being. Our product range includes Silver and Macrame crystal Jewellery and a wide variety of Aromas for the Soul, including incense, essential oils and perfume oils. 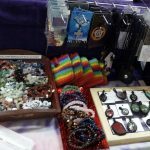 Avalon by Nature specialises in Australian products, including independant and house-published Tarot and Oracle cards and Music & Meditation discs. 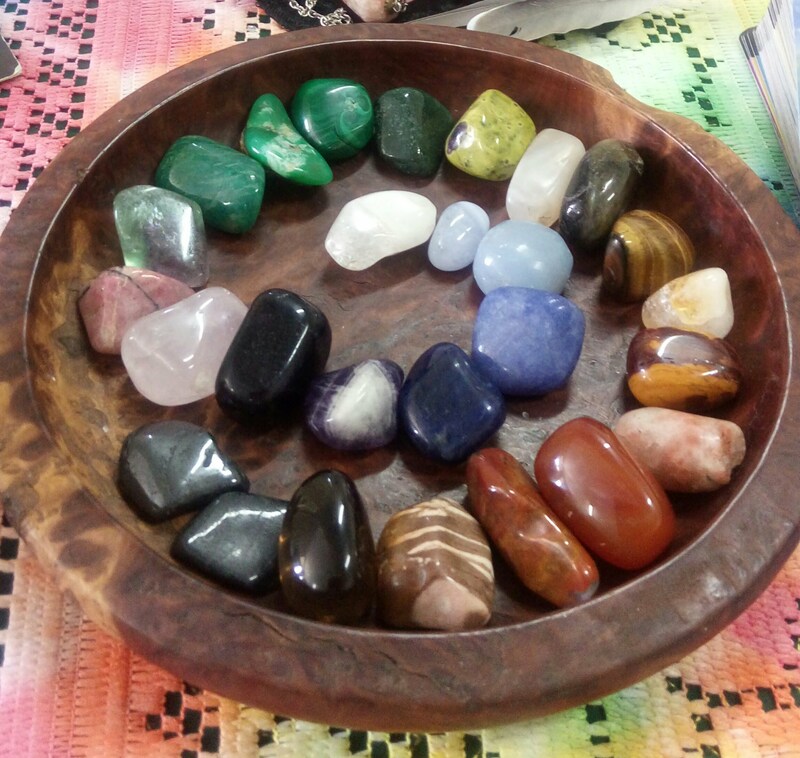 Jo uses crystals to tune into and understand your energy. Together, we use crystals to learn what your Soul wants you to know. Each reading is unique to what is required at the time. 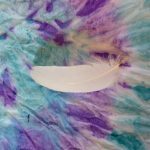 Readings available face to face or via Skype. Have you ever wondered what your Aura looks like? With an Aura imaging camera, Jo can take your photo and explain what the colours reveal about you. This includes a mini intuitive reading. Created in 2002, Avalon by Nature has grown from a humble market stall to a wide range of products hand-chosen to support and enhance your personal journey. Our mobile shop is on the road and we may be coming to a NSW town near you! Check out our Calendar to see when and where we are! Can you believe that Tie Dye is still in vogue? Would you like to dye your own without the hassle of setting and cleaning up? We offer classes, parties and workshops. 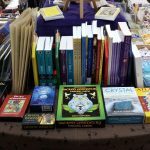 A specialist project featuring Australian spiritual and self-development creations: books, oracle and tarot cards and meditation & hypnotherapy cds. Another specialist project following our passion for history. 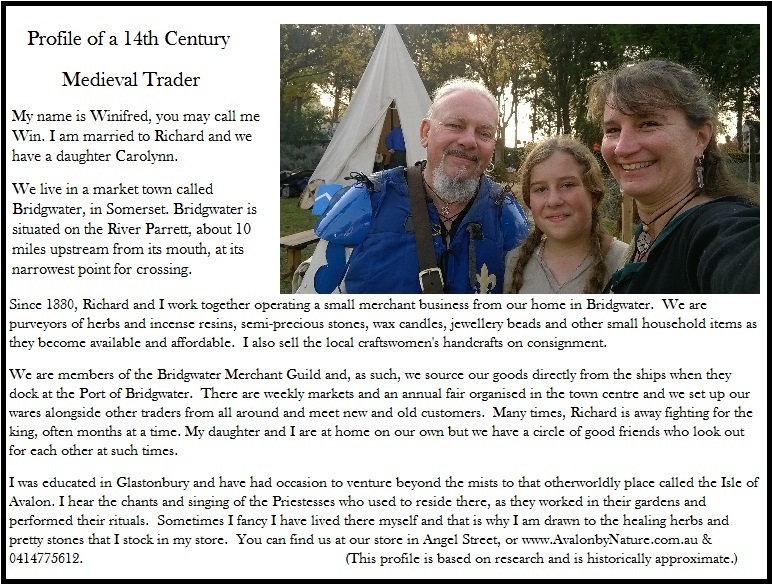 Win is a 14th Century trader in Bridgwater and has a shop near the docks. It is amazing what she can find in the hulls of the ships from far away.